Bright lights, the sound of conversation, and the aroma of delicious foods filled the autumn air. 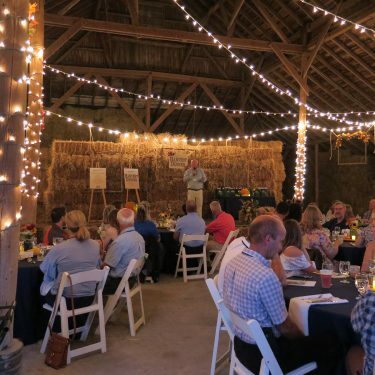 Local farmers and educators gathered under a picturesque barn to share conversation and dinner during the DeKalb County Harvest Dinner. The event focused on developing relationships among farmers and educators and opening lines of communication for future outreach. Educators included teachers, counselors, and administration. Some of the schools represented at the event were DeKalb County elementary, middle, and high schools, as well as Kishwaukee College and Northern Illinois University. Educators were invited to talk with a group of selected livestock, grain, and specialty crop farmers from throughout the county. Autumn foliage centerpieces were created by Sycamore High School Horticulture students. 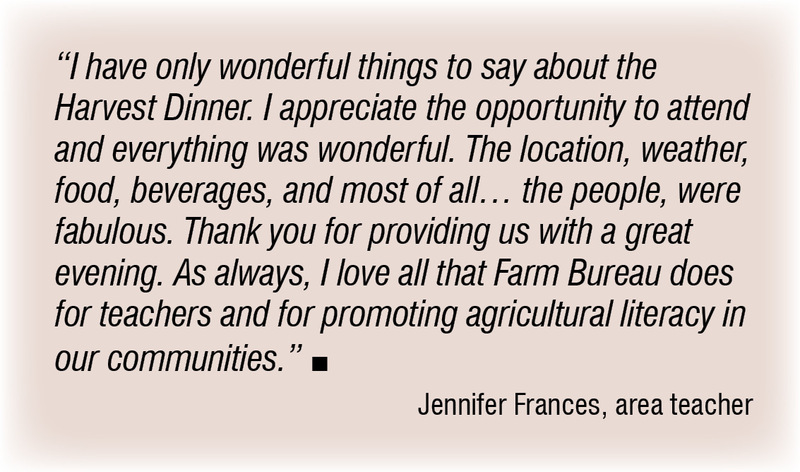 The evening was hosted by the John and Steve Ward families at their historic farmstead in Sycamore. One hundred guests enjoyed a cocktail hour while getting to know farmers, climbing into farm machinery, and exploring educational displays. 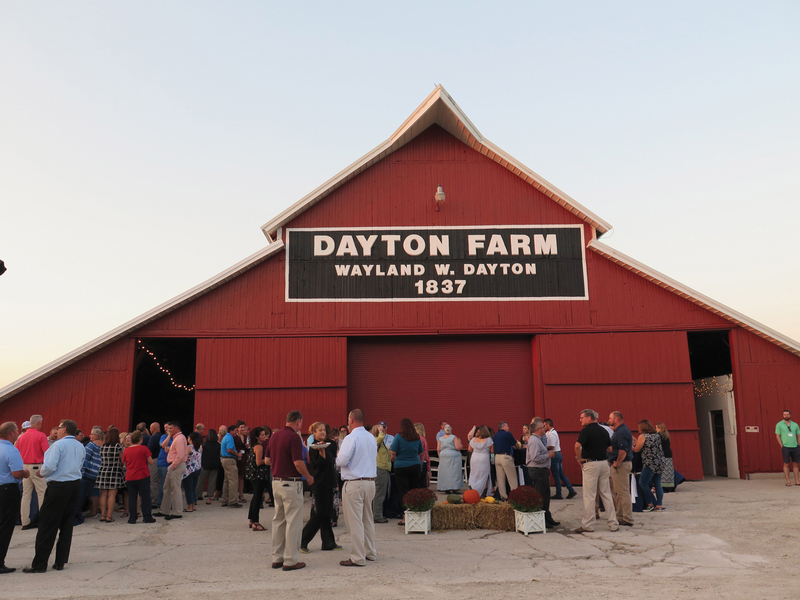 Guests were seated within the barn for their meal served by Nats on Maple of Sycamore. The meal included locally grown foods such as an apple salad, steak, pork tenderloin, red potatoes, and sweet corn. 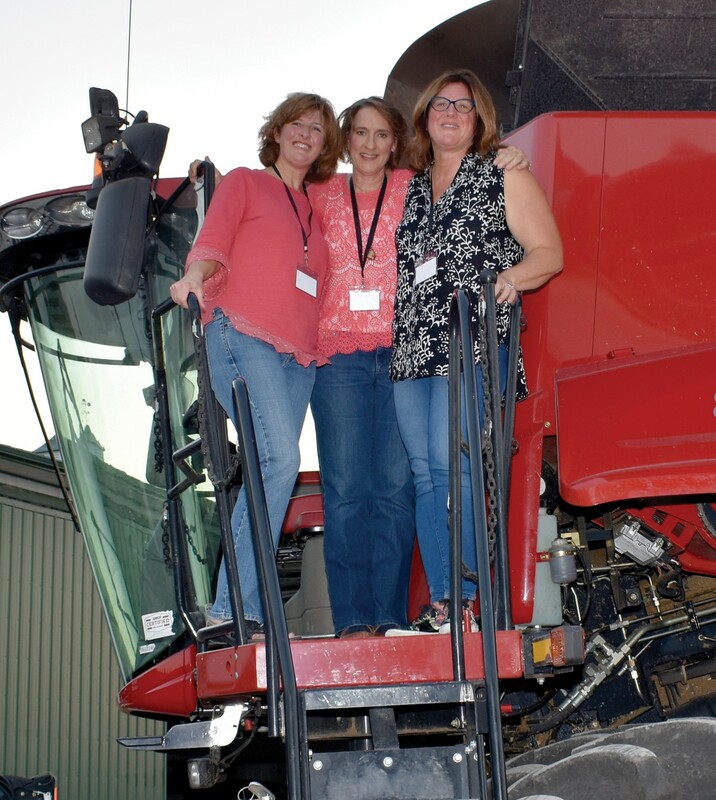 Teachers Cori Nelson, Nancy Summer, and Beth Mueller climb up onto the Ward’s combine at the Harvest Dinner. Guests were sent home with gift bags that included educational ag material and the farmers’ contact information for continued conversation. The Harvest Dinner on Sept. 20 was organized by the DeKalb County Farm Bureau with generous support from the DeKalb County Farm Bureau Foundation, the families of Steve and John Ward, and local farmers. 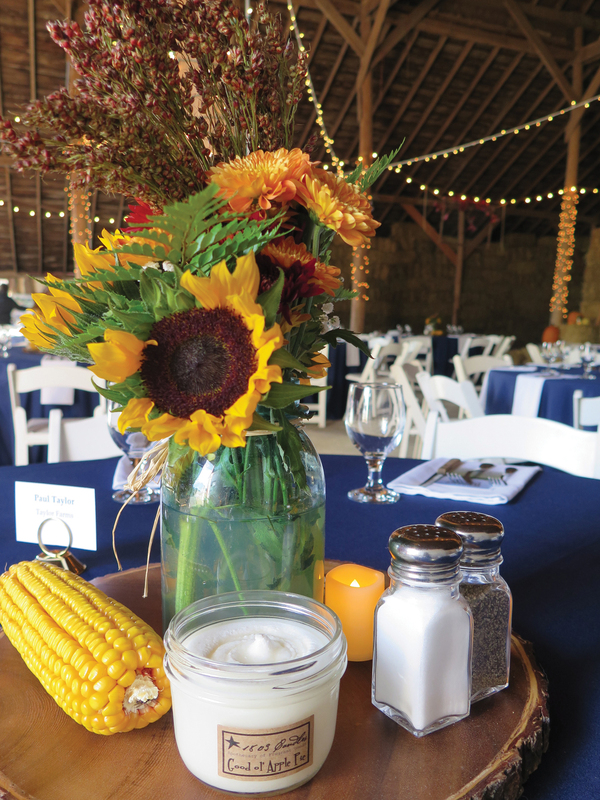 A very special thanks to the Sycamore High School FFA and Horticulture Class, as well as 1803 Candles, Forge Brewhouse, Jonamac Orchard, Prairie State Winery, and Whiskey Acres.